Edwards, B.L., R. F. Keim, E. L. Johnson, C. R. Hupp, S. Marre, and S. L. King. 2016. Geomorphic adjustment to hydrologic modifications along a meandering river: implications for surface flooding on a floodplain. Geomorphology 269:149-159. King, S. L., R. F. Keim, C. R. Hupp, B. L. Edwards, W. A. Kroschel, E. L. Johnson, and J. W. Cochran. 2016. Evaluation of the effects of hydrologic and geomorphic processes and bottomland hardwood plant communities of the ower White River Basin. U.S. Geological Survey Open File Report 2016-1113. Allen, ST, K.W. Krauss, JW Cochran, SL King, and RF Keim. 2016. Wetland tree transpiration modified by river-floodplain connectivity. Journal of Geophysical Research - Biogeosciences 121(3):753-766. Gee, H.K.W., S. L. King, and R. Keim. 2015. Influence of Hydrologic Modifications on Fraxinus pennsylvanica in the Mississippi River Alluvial Valley, USA. Canadian Journal of Forest Research 45:1397-1406. Pickens, B. A., and S. L. King. 2014. Linking Multi-Temporal Satellite Imagery to Coastal Wetland Dynamics and Bird Distribution Ecological Modelling 285:1-12. Kang, S. R., and S. L. King. 2013. Effects of hydrologic connectivity and environmental variables on nekton assemblage in a coastal marsh system.Wetlands 33:321-334. Treatise on Geomorphology, Volume 12, pp. 221-235. San Diego: Academic Press. Bolduc, F., and A. D. Afton. 2012. Interactions of structural marsh management, salinity, and water depth on wintering waterbird communities. Pages 109-128 in Wetlands: Ecology, Management and Conservation (A. Baranyai and D. Benko, eds.). Nova Scientific Publishers, Inc., Hauppauge, NY. King, S. L. 2013. Climate change, cranes, and temperate floodplain ecoysystems. Pages 28-34 in J. H. Harris, ed. Proceedings of the 2010 International Crane Workshop, Muraviovoka Park, Russia. Link, P. T., A. D. Afton, R. R. Cox, Jr., and B. E. Davis. 2011. 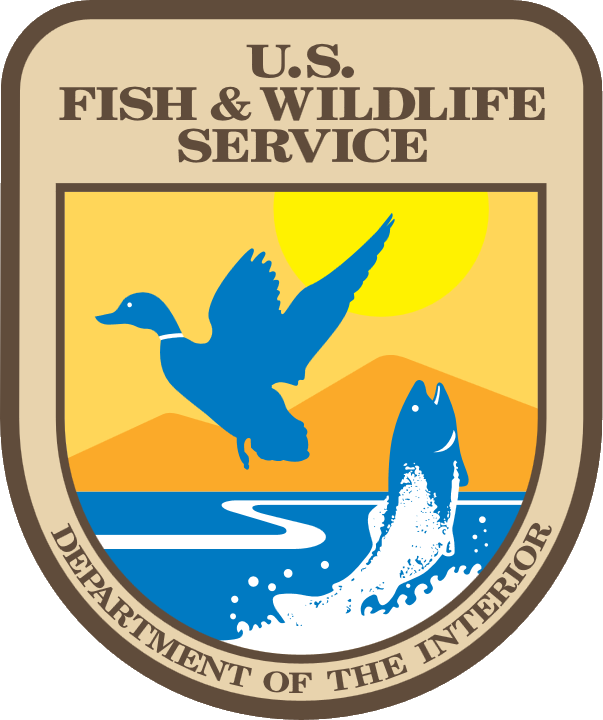 Use of habitats by female mallards wintering in southwestern Louisiana. Waterbirds 34:429-438. Gurney, K. E. B., R. G. Clark, S. M. Slattery, N. V. Smith-Downey, J. Walker, L. M. Armstrong, S. E. Stephens, M. Petrula, R. M. Corcoran, K. H. Martin, K. A. DeGroot, R. W. Brook, A. D. Afton, K. Cutting, J. M. Warren, M. Fournier, and D. N. Koons. 2011. Time constraints in temperate-breeding species: influence of growing season length on reproductive strategies. Ecography 34:628-636. Davis, B. E., A. D. Afton, R. R. Cox, Jr. 2011. Factors affecting winter survival of female mallards in the Lower Mississippi Alluvial Valley. Waterbirds 34:186-194. Anteau, M. J., A. C. E. Anteau, and A. D. Afton. 2011. Testing competing hypotheses for chronology and intensity of lesser scaup molt during winter and spring migration. The Condor 113:298-305. Anteau, M. J., A. D. Afton, A. C. E. Anteau, E. B. Moser. 2011. Fish and land use influence Gammarus lacustris and Hyalella azteca (Amphipoda) densities in large wetlands across the upper Midwest. Hydrobologia 664:69-80. Olsen, R. E., R. R. Cox, Jr., A. D. Afton, and C. D. Ankney. 2011. Diet and gut morphology of male mallards during winter in North Dakota. Waterbirds 34:59-69. Anteau, M. J., and A. D. Afton. 2011. Lipid catabolism of invertebrate predator indicates widespread wetland ecosystem degradation. PLoS ONE 6(1):e16029. Pillatzki, A. E., R. D. Neiger, S. R. Chipps, K. F. Higgins, N. Thiex, and A. D. Afton. 2011. Hepatic element concentrations of lesser scaup (Aythya affinis) during spring migration in the upper Midwest. Archives of Environmental Contaminants and Toxicology 61:144-150. Guay, P.-J., R. T. Chesser, R. A. Mulder, A. D. Afton, D. C. Paton, and K. G. McCracken. 2010. East-west genetic differentiation in musk ducks (Bizura lobata) of Australia suggests late Pleistocene divergence at the Nullarbor Plain. Conservation Genetics 11:2105-2120. Davis, B. E., and A. D. Afton. 2010. Movement distances and habitat switching by female mallards wintering in the lower Mississippi Alluvial Valley. Waterbirds 33:349-356. Humphries, E. M., J. L. Peters, J. E. Jonsson, R. Stone, A. D. Afton, and K. E. Omland. 2009. Genetic differentiation between sympatric and allopatric wintering populations of snow geese. The Wilson Journal of Ornithology 121:730-738. Anteau, M. J., and A. D. Afton. 2009. Lipid reserves of lesser scaup (Aythya affinis) migrating across a large landscape are consistent with the "spring condition" hypothesis. Auk 126:873-883. Newell, P., S. L. King, and M. Kaller. 2009 Foraging behavior of pileated woodpeckers in partial cut and uncut bottomland hardwood forest. Forest Ecology and Management 258:1456-1464. Anteau, M. J., and A. D. Afton. 2009. Wetland use and feeding by lesser scaup during spring migration across the upper Midwest, USA. Wetlands 29:704-712. Jonsson, J. E., and A. D. Afton. 2009. Time budgets of snow geese Chen caerulescens and Ross's geese C. rossi in mixed flocks: implications of body size, ambient temperature and family associations. Ibis 151:134-144. Jonsson, J. E., and A. D. Afton. 2008. Lesser snow geese and Ross's geese form mixed flocks during winter but differ in family maintenance and social status. Journal of Wilson Ornithology 120:725-731. Szymanski, M. L., and A. D. Afton. 2008. New duck hunting technologies: hunter perceptions contradict data on effectiveness. Human Dimensions of Wildlife 13:299-300. Bolduc, F., and A. D. Afton. 2008. Monitoring waterbird abundance in wetlands: the importance of controlling results for variation in water depth. Ecological Modelling 216:402-408. Anteau, M. J., and A. D. Afton. 2008. Using plasma-lipid metabolites to index changes in lipid reserves of free-living lesser scaup (Aythya affinis). Auk 125:354-357. Anteau, M. J., and A. D. Afton. 2008. Amphipod densities and indices of wetland quality across the Upper-Midwest, USA. Wetlands 28:184-196. Anteau, M. J., and A. D. Afton. 2008. Diets of lesser scaup during spring migration throughout the Upper-Midwest are consistent with the spring condition hypothesis. Waterbirds 31:97-106. Szymanski, M. L., A. D. Afton, and K. A. Hobson. 2007. Erratum. Journal of Wildlife Management 71:2118. Jonsson, J. E., A. D. Afton, and R. T. Alisauskas. 2007. Does body size influence nest attendance? A comparison of Ross?s geese (Chen rossii) and the larger, sympatric lesser snow geese (C. caerulescens caerulescens). Journal of Ornithology 148:549-555. Jonsson, J. E., and A. D. Afton. 2006. Different time and energy budgets of lesser snow geese in rice-prairies and coastal marshes in southwest Louisiana. Waterbirds 29:451-458. Vest, J. L., R. M. Kaminski, A. D. Afton, and F. J. Vilella. 2006. Body mass of lesser scaup during fall and winter in the Mississippi flyway. Journal of Wildlife Management 70:1789-1795. Durham, R. S., and A. D. Afton. 2006. Breeding biology of mottled ducks on agricultural lands in southwestern Louisiana. Southeastern Naturalist 5:311-316. Ackerman, J. T., J. M. Eadie, M. L. Szymanski, J. H. Caswell, M. P. Vrtiska, A. H. Raedeke, J. M. Checkett, A. D. Afton, T. G. Moore, F. D. Caswell, R. A. Walters, D. D. Humburg, J. L. Yee. 2006. Effectiveness of spinning-wing decoys varies among dabbling duck species and locations. Journal of Wildlife Management 70:799-804. Anteau, M. J., and A. D. Afton. 2006. Diet shifts of lesser scaup are consistent with the spring condition hypothesis. Canadian Journal of Zoology 84:779-786. Jonsson, J. E., A. D. Afton, D. G. Homberger, W. G. Henk, and R. T. Alisauskas. 2006. Do geese fully develop brood patches? A histological analysis of lesser snow geese (Chen caerulescens caerulescens) and Ross's geese (C. rossii). Journal of Comparative Physiology B. 176:453-462. Jonsson, J. E., A. D. Afton, R. T. Alisauskas, C. K. Bluhm, and M. E. El Halawani. 2006. Ecological and physiological factors affecting brood patch area and prolactin levels in arctic-nesting geese. Auk 123:405-418. Szymanski, M. L., and A. D. Afton. 2005. Effects of spinning-wing decoys on flock behavior and hunting vulnerability of mallards in Minnesota. Wildlife Society Bulletin 33:993-1001. Chambers, J. L., W. H. Conner, R. F. Keim, S. P. Faulkner, J. W. Day, E. S. Gardiner, M. S. Hughes, S. L. King, K. W. McLeod, C. A. Miller, J. A. Nyman, and G. P. Shaffer. 2006. Towards sustainable management of Louisiana's coastal wetland forests: Problems, constraints, and a new beginning. Pages 383-395 in Coastal Environment and Water Quality. Proceedings of the International Conference on Hydrology and Management of Forested Wetlands. Keim, R. F., J. L. Chambers, M. S. Hughes, J. A. Nyman, C. A. Miller, J. B. Amos, W. H. Conner, J. W. Day Jr., S. P. Faulkner, E. S. Gardiner, S. L. King, K. W. McLeod, and G. P. Shaffer. 2006. Ecological consequences of changing hydrological conditions in wetland forests of coastal Louisiana. P. 383-395 in: Coastal Environment and Water Quality, Y. J. Xu and V. P. Singh, eds. Challenges in Coastal Hydrology and Water Quality, Water Resource Publications, Highlands Ranch, Colo. 534pp. Chambers, J. L., W. H. Conner, R. F. Keim, S. P. Faulkner, J. W. Day Jr., E. S. Gardiner, M. S. Hughes, S. L. King, K. W. McLeod, C. A. Miller, J. A. Nyman, and G. P. Shaffer. 2006. Towards sustainable management of Louisiana?s coastal wetland forest: Problems, constraints, and a new beginning. P. 150-157 in: Hydrology and Management of Forested Watersheds, Proceedings of the International Conference. American Society of Agricultural and Biological Engineers, April 8-12, 2006. New Bern, N. C.
Bolduc, F., and A. D. Afton. 2005. Sediments in marsh ponds of the Gulf Coast Chenier Plain: effects of structural marsh management and salinity. Wetlands Ecology and Management 13:395-404. Austin, J. E., C. M. Custer, and A. D. Afton. 2005. Lesser scaup. Pages 679-685 in Bird Families of the World: Ducks, Geese and Swans (J. Kear, Ed. ). Oxford University Press, Oxford, England. Bolduc, F., and A. D. Afton. 2004. Relationships between wintering waterbirds and invertebrates, sediments and hydrology of coastal marsh ponds. Waterbirds 27:333-341. McCracken, K. G., J. Hemmings, D. C. Paton, and A. D. Afton. 2004. Capture methods for musk ducks. Wildfowl 54:209-212. Anteau, M. J., and A. D. Afton. 2004. Nutrient reserves of lesser scaup (Aythya affinis) during spring migration in the Mississippi Flyway: a test of the spring condition hypothesis. Auk 121:917-929. Gabrey, S. W., and A. D. Afton. 2004. Composition of breeding bird communities in Gulf Coast Chenier Plain marshes: effects of winter burning. Southeastern Naturalist 3:173-185. Bolduc, F., and A. D. Afton. 2003. Effects of structural marsh management and salinity on invertebrate prey of waterbirds in marsh ponds during winter on the Gulf Coast Chenier Plain. Wetlands 23:897-910. Bolduc, F., and A. D. Afton. 2004. Hydrologic aspects of marsh ponds during winter on the Gulf Coast Chenier Plain, USA: effects of structural marsh management. Marine Ecology Progress Series 266:35-42. Caswell, J. H., A. D. Afton, and F. D. Caswell. 2003. Vulnerability of nontarget goose species to hunting with electronic snow goose calls. Wildlife Society Bulletin 31:1117-1125. Durham, R. S., and A. D. Afton. 2003. Nest-site selection and success of mottled ducks on agricultural lands in southwest Louisiana. Wildlife Society Bulletin 31:433-442. Rotella, J. J., R. G. Clark, and A. D. Afton. 2003. Survival of female lesser scaup: effects of body size, age, and reproductive effort. Condor 105:336-347. Custer, C. M., T. W. Custer, M. J. Anteau, A. D. Afton, and D. E. Wooten. 2003. Trace elements in lesser scaup (Aythya affinis) from the Mississippi Flyway. Ecotoxicology 12:47-54. McCracken, K. G., D. C. Paton, and A. D. Afton. 2002. Advertising displays of male musk ducks indicate population subdivision across the Nullarbor Plain of Australia. Wildfowl 53:137-154. Gabrey, S. W., B. C. Wilson, and A. D. Afton. 2002. Success of artificial bird nests in burned Gulf Coast Chenier Plain marshes. Southwestern Naturalist 47:532-538. Afton, A. D., and M. G. Anderson. 2001. Declining scaup populations: a retrospective analysis of long-term population and harvest survey data. Journal of Wildlife Management 65:781-796. Michel, J., J. W. Anderson, C. F. Bryan, W. Lehr, M. Mackinnon, III, J. R. Payne, g. A. Reiter, J. N. Saco. 2001. Spills of Emulsified Fuels: Risks and Responses. National Research Council, National Academy of Sciences. viii + 169pp. Gabrey, S. W., A. D. Afton, and B. C. Wilson. 2001. Effects of structural marsh management and winter burning on plant and bird communities during summer in the Gulf Coast Chenier Plain. Wildlife Society Bulletin 29:218-231. Gabrey, S. W., and A. D. Afton. 2001. Plant community composition and biomass in Gulf Coast Chenier Plain marshes: responses to winter burning and structural marsh management. Environmental Management 27:281-293. Gloutney, M. L., R. T. Alisauskas, A. D. Afton, and S. M. Slattery. 2001. Foraging time and dietary intake by breeding Ross's and lesser snow geese. Oecologia 127:78-86. Olsen, R. E., and A. D. Afton. 2000. Vulnerability of lesser snow geese to hunting with electronic calling devices. Journal of Wildlife Management 64:983-993. McCracken, K. G., A. D. Afton, and D. C. Paton. 2000. Nests and eggs of musk ducks Biziura lobata at Murray Lagoon, Cape Gantheaume Conservation Park, Kangaroo Island, South Australia. South Australian Ornithologist 33:65-70. Austin, J. E., A. D. Afton, M. G. Anderson, R. G. Clark, C. M. Custer, J. S. Lawrence, J. B. Pollard, and J. K. Ringelman. 2000. Declining scaup populations: issues, hypotheses, and research needs. Wildlife Society Bulletin 28:254-263. Cox, R. R., Jr., and A. D. Afton. 2000. Predictable interregional movements by female northern pintails during winter. Waterbirds 23:258-269. Gabrey, S. W., and A. D. Afton. 2000. Effects of winter marsh burning on abundance and nesting activity of Louisiana Seaside Sparrows in the Gulf Coast Chenier Plain. Wilson Bulletin 112:365-372. McCracken, K. G., A. D. Afton, and M. S. Peters. 2000. Condition bias of hunter-shot ring-necked ducks exposed to lead. Journal of Wildlife Management 64:584-590. Battle, J. A., T. B. Mihuc, and C. F. Bryan. 2000. Decomposition dynamics of aquatic macrophytes in the lower Atchafalaya, a large floodplain river. Hydrobiologia, 418: 123-136. Austin, J. E., A. D. Afton, M. G. Anderson, R. G. Clark, C. M. Custer, J. S. Lawrence, J. B. Pollard, and J. K. Ringleman. 1999. Declines of greater and lesser scaup populations: issues, hypotheses, and research directions. USDI, U. S. Geological Survey Report, Northern Prairie Wildlife Research Center, Jamestown, ND. (www. npwrc. usgs. gov/resource/1999/blubill/blubill. htm). Cox, Jr., R. R., and A. D. Afton. 1999. Do mini-refuges supply wintering northern pintails with important diurnal roost sites? Response to Rave. Wildlife Society Bulletin 27:901-903. Dunn, P. O., A. D. Afton, M. L. Gloutney and R. T. Alisauskas. 1999. Forced copulation results in few extrapair fertilizations in Ross's and lesser snow geese. Animal Behaviour 57:1071-1081. Gabrey, S. W., A. D. Afton, and B. C. Wilson. 1999. Effects of winter burning and structural marsh management on vegetation and winter bird abundance in the Gulf Coast Chenier Plain, USA. Wetlands 19:594-606. Gloutney, M. L., R. T. Alisauskas, K. A. Hobson, and A. D. Afton. 1999. Use of supplemental food by breeding Ross's and lesser snow geese: evidence for variable anorexia. Auk 116:97-108. McCracken, K. G., J. Harshman, D. A. McClellan, and A. D. Afton. 1999. Data set incongruence and correlated character evolution: an example of functional convergence in the hind-limbs of stifftail diving ducks. Systematic Biology 48:683-714. Olsen, R. E., and A. D. Afton. 1999. Goose hunter opinions concerning proposed management actions to reduce the mid-continent population of lesser snow geese. Wildlife Society Bulletin 27:107-113. Pace, R. M., III., and A. D. Afton. 1999. Direct recovery rates of lesser scaup banded in northwest Minnesota: sources of heterogeneity. Journal of Wildlife Management 63:389-395. Hale, L., M. G. Waldon, C. F. Bryan, and P. A. Richards. 1999. Historic patterns of sedimentation in Grand Lake, Louisiana. pp. 3 -15. In. Rozas, L. P., et al., (eds). Recent research in coastal Louisiana: Natural system function and response to human inluences. LA. Sea Grant Program, Lousiana State University, Baton Rouge, LA. Mihuc, T. B., J. M. Battle, J. R. Mihuc, and C. F. Bryan. 1999. Zebra mussel seasonal colonization patterns in a sub-tropical floodplain river. Hydrobiologia 392: 121-128. Sabo, M. J., C. F. Bryan, W. E. Kelso, and D. A. Rutherford. 1999. Hydrology and aquatic habitat characteristics of a riverine swamp: I. Influence of flow on water temperature and chemistry. Regulated Rivers: Research and Management, 15: 505-523. Sabo, M. J., C. F. Bryan, W. E. Kelso, and D. A. Rutherford. 1999. Hydrology and aquatic habitat characteristics of a riverine swamp: II. Hydrology and the occurrence of chronic hypoxia. Regulated Rivers: Research and Management, 15: 525-542. Waldon, M. G., and C. F. Bryan. 1999. Annual salinity and nutrient budget of Lake Ponchartrain and impact of the proposed Bonnet Carre diversion. pp. 70-89. In. Rozas, L. P., et al., (eds). Recent research in coastal Louisiana: Natural system function and response to human inluences. LA. Sea Grant Program, Lousiana State University, Baton Rouge, LA. Bryan, C. F. (Co-editor), D. Boesch, J. Hatfield, G. Halberg, S. Batie, R. Foil. White House Office of Science and Technology Policy, Comm. on Environment and Natural Resources, NOAA Coastal Ocean Program. May 1999. Goolsby, D. A., W. A. Battaglin, G. B. Lawrence, R. S. Artz, B. T. Aulenbach, R. P. Hooper, D. R. Keeney, G. J. Stensland. Flux and Sources of Nutrients in the Mississippi-Atchafalaya RiverBasin. 89 pp. + Appendices. Gulf of Mexico Hypoxia Assessment. Topic 3. (hypoxia, Gulf of Mexico). Alisauskas, R. T., S. M. Slattery, J. P. Ryder, M. L. Gloutney, A. D. Afton, R. H. Kerbes, and M. R. McLandress. 1998. Discrimination of Ross's and lesser snow goose eggs. Journal of Field Ornithology 69:647-653. Cox, R. R., Jr., A. D. Afton, and R. M. Pace, III. 1998. Survival of female northern pintails wintering in southwestern Louisiana. Journal of Wildlife Management 62:1512-1521. Austin, J. E., C. M. Custer, and A. D. Afton. 1998. Lesser scaup (Aythya affinis). In The Birds of North America, No. 338 (A. Poole and F. Gill, Eds. ). The Birds of North America, Inc., Philadelphia, PA.
Cox, R. R., Jr., and A. D. Afton. 1998. Use of mini-refuges by female northern pintails wintering in southwestern Louisiana. Wildlife Society Bulletin 26:130-137. King, S. L., and W. E. Grant. 1996. A simulation model of the impacts of green-tree reservoir management on bottomland hardwood seedling growth and survival. Ecological Modelling 87:69-82.